Butterfly numbers are growing and the new arrivals are staking out territories. It was only after I started to really look at butterflies that I realised how complex their behaviours can be. And I still find the territorial behaviour of some species quite extraordinary. 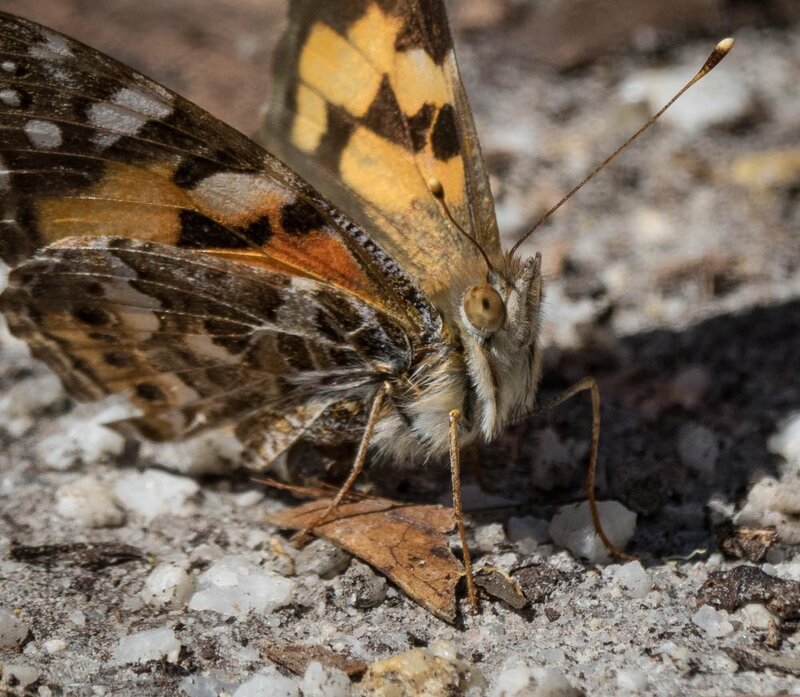 The photos below provide a glimpse of this week's butterfly action. There is a patch of Lomandra and sedge which, every Summer, is a reliable place to see Bright Coppers. There are none of the larval food plants nearby, so the butterflies are clearly not visiting the site to lay eggs. Rather, this appears to be the local males' regular hangout. I've read that this species form such 'leks' – sites where males gather to compete and display. The male below appears to be resting, hunched down with wings sometimes open, sometimes closed. But he quickly launches himself when another Bright Copper appears, and the two then spiral about one another, flashing their brilliant wings. Male Vanessa kershawi show quite different behaviour. A single male stakes out an area where the larval host plants grow, and fiercely defends it from all comers. He usually rests on the ground as he keeps watch for intruders. He will chase away ANY intruder, not just competing males of the same species. Perhaps a well-protected patch is most attractive to passing females looking for somewhere to lay their eggs. 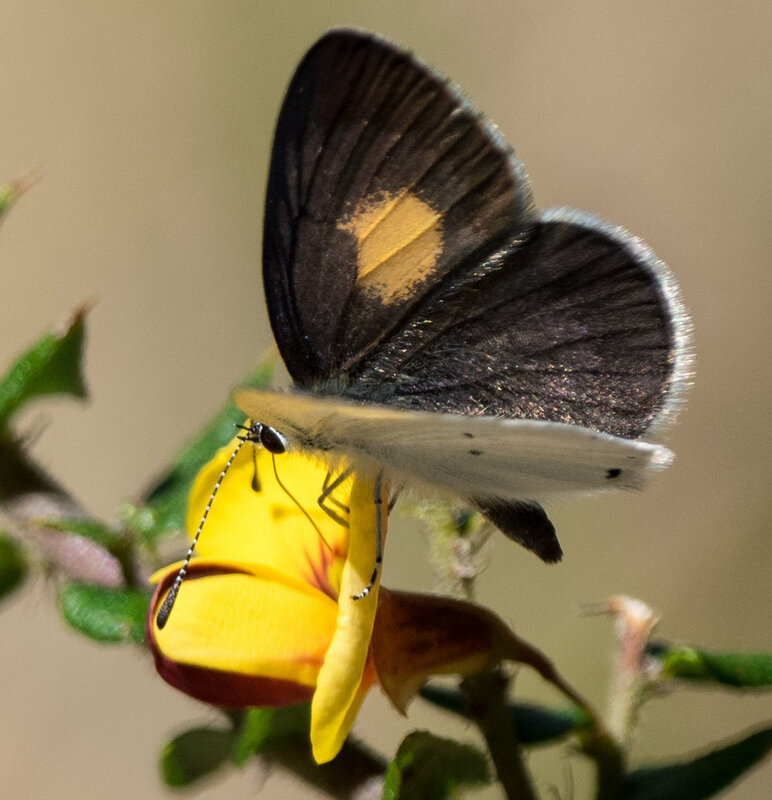 This is the first Yellow-spotted Blue we've seen this season. And he looks brand new too. I expect this species to become a common sight during Spring and Summer, feeding on low shrubs and laying eggs on Pimelea. In contrast to the newly-minted butterfly above, some of the Dusky Blues are already looking a bit second hand. 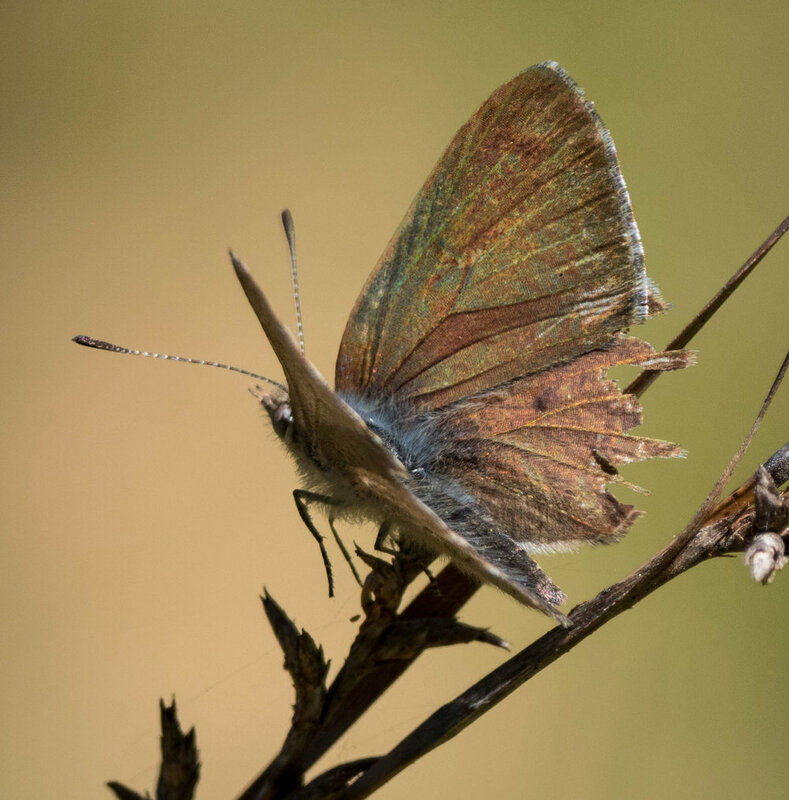 Butterfly wings fade as they age and lose scales, but the wear and tear visible below is almost certainly due to close encounters with hungry birds. Despite the scars, this male was still defending his sunny patch of sedge.